Origins is this week, and I'm super excited to be going. This is my 11th year (wow!) and there are a lot of changes this year. I'm taking some new approaches and trying to do a lot of planning ahead of time. Let's look at what has caught my attention in particular! There are many changes with Origins 2018. No sign of Mayfair Games and no Passport Games are two of the big ones for me. When I started going to Origins, Mayfair was one of the biggest booths. Over the years, I became friends with many of the folks who worked for Mayfair. I even volunteered for them several years. They'll be missed. Passport is another booth that has always been one I'd visit, mainly because of the wide variety of game types. Another big change this year is the location of the exhibitor hall. There are four big sections to the Columbus Convention Center. The Exhibitor hall has always been in the first one, which has made sense to me. This left the other halls available for open gaming, other vendors to run events, and the like. This year the Exhibitor hall is in Hall B, splitting the open gaming area into more sections. Open gaming has always been something I've enjoyed at Origins, when I could find an open table, so hopefully this results in just as much opportunity. I've made a point this year to set up full appointments with many publishers instead of standing and waiting. Hopefully this results in me getting to more publishers and spending less time waiting in line. Of course, this could result in me going crazy trying to watch my schedule, so we shall see. There are a ton of games being released for purchase or demo at Origins this year -- 256 according to BGG's Origins Preview. I've gone through and marked a bunch of games to check out with the intent to buy only a few. I'm still doing well on my goal of buying only 25 standalone games this year! The priority purchase I am planning is a last-minute one, which seems strange, but Maiden's Quest has really caught my attention. I had reached out to the designer and company and was told that I'd get a review copy, but that seems to have fallen through. That being said, the solo, competitive, and cooperative on the go game play and mechanics all intrigue me. I watched a playthrough video and was impressed by how modular the game appears to be. Now to hope that it lives up to the hype! Blue Orange Games used to be known for small kid-friendly games. Now they've come into their own with Kingdomino and Queendomino! That being said, I'm really curious about Shaky Manor. Dexterity and real time competing with other players seems like it could be a lot of fun. Blue Orange has said they'll send me a copy after the convention, which I'll be trying out at Critical Hit Games. I've enjoyed most roll and write games that I've played, and I'm curious about Welcome To..., but this isn't a roll and write as much as it's a draw and draw. You draw cards and then mark on your board, trying to outperform your opponents. I like the idea of combining city building and wonder how well this one works with the cards instead of dice. I know that they'll only have 25 copies per day and are mostly doing pre-orders, but I want to try this one before I buy it. There are lots of other games I want to check out, and you can see the full list here: Kengi's Preview Picks. The games range from new standalone games and expansions to new takes on game ideas. I'm looking at a lot more solo games as I've been enjoying them recently. Of course, I won't end up checking out all of these games. I know that. But there are also games not on the list that I'll see and get excited over. That's just how conventions work! 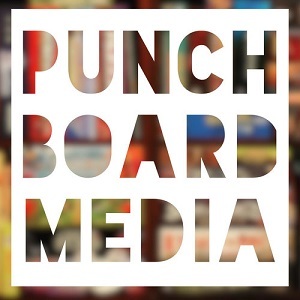 If you're going to Origins, please consider joining us at the Punchboard Media Meetup. We'll have some prizes and will be playing a variety of games that anyone can try! If you can't go, you should check out #NOrigins on your social media platform of choice, and watch the Punchboard Media accounts as we have some giveaways planned for those of you unable to attend. Finally, if you want to follow along with my convention activities, I suggest following me on Instagram, Twitter, or Facebook. I'm going to take a lot of photos this year, so there should be a ton of things to look at. As always, if you know of something that I may have missed, please let me know!